Who Chose One Amazing Thing? Nominated by Erin Delaney: "The book is beautifully written. I especially liked the way the characters analyzed each other's stories." More information: Nine strangers trapped in a basement office after an earthquake deal with fear, hunger, thirst, and an ominous flood by telling their stories to one another. See the author's website and Amazon reviews. Nominated by Tae Oh: "a good combination of inspiration and intellectual approach on how to accomplish things such as doing well in college." More information: the Wikipedia entry offers snippets from several reviews of the book as well as a synopsis and a brief biography. If you've heard of "the 10,000 hour rule," you've heard of Outliers. Gladwell's website includes lots of information about the book. Nominated by Sharron Kollmeyer Gerfen. More information: UC Davis has an interactive map about Route 666. See also this long review in The Atlantic Monthly, which describes the book as "The single most compelling, lucid, and lyrical contemporary account of the absurdity of U.S. border policy." More information: Amazon.com; publisher's website. Stories by Amy Tan, Sandra Cisneros, Tim O'Brien, Edward P. Jones, Judith Ortiz Cofer, Gary Soto, Toni Morrison, et al. More information: author's website. “The story of a five-year-old called Jack, who lives in a single room with his Ma and has never been outside. When he turns five, he starts to ask questions.” Horror story; or, perhaps, a story about maternal love keeping horror at bay. Nominated by Jackie Stallcup: "A funny, raucous tale of six freshman students starting their studies at a Wizarding University that has fallen on hard times. . . . the novel captures academic politics and the feeling of stretching one’s wings in an exciting new environment (that isn’t always entirely friendly to one’s ambitions). . . . I think our students will identify with . . . the exploration of family relationships." More information: see Powell's Books and Amazon.com. Also by this author: Howl's Moving Castle. Nominated by Donna Stone: " The 13-year-old protagonist, who has a stammer, is negotiating his way through the social hierarchy of his peers and also trying to understand the adult world, which he’s on the cusp of but doesn’t have sufficient maturity to comprehend fully. The language is fabulous, and this author really evokes what it feels like to be at that most awkward age." More information: New York Times book review; New Yorker book review. Nominated by Debra Berry Malmberg. More information: "Billed as a novel, What Is the What is more a work of imaginary journalism: Valentino is an actual refugee, whom Eggers spent years interviewing." (Review by David Amsden, New York Magazine.) See also Francine Prose, New York Times Sunday Book Review, and the Valentino Achak Deng Foundation website. More information: author's website; "Fox Cities [Wisconsin] Reads" book choice for 2010. Story of two neglected little girls in 1959 as they care for one another while seeking to avoid a murderer/molester. Nominated by Sharron Kollmeyer Gerfen: "beautifully written." More information: author's website; Amazon (photos, video, reviews....). 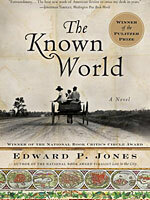 A story about 3 of the six million African-Americans who headed north and west after World War I. Nominated by Bradley M. Reynolds. More information: Reading Guide (author's website); Ford narrates a YouTube video of locations in the novel. A father and son; a childhood love lost in the aftermath of Executive Order 9066 and then rediscovered, unexpectedly, decades later. Nominated by Erin Delaney: "a story of a young journalist in early 1960's Jackson, Mississippi, recording the stories of 'the help'--the African-American women who work for white women as maids and nannies... a heartfelt portrayal of an emotionally-wrought situation." Nominated by Melissa Marcussen; previously nominated by Scott Andrews (for 2011-2012). More information: Undocumented immigrants in Denver viewed close-up. New Yorker brief book review; longer discussion by CSUN professor Scott Andrews on CSUN's Common Reading blog. Nominated by Melissa Marcussen; previously nominated by Richard Battaglia (for 2008-2009). More information: Afghan boyhood friendship recollected—with shame and guilt—by a doctor now living in California. See the review in the New York Times; info about the 2007 movie from IMDB. Nominated by Debbi Mercado: "Beautifully written, accessible, important, 224 pages. I loved it." More information: Hari was a translator in Sudan. Violence, imprisonment, and eventually rescue. Now he lives in the USA. "Additional Resources" from the publisher's website; and see this Amazon review. Nominated by Johnie Scott: "very entertaining...lays [the] foundation for lots of discussion." More information: Humans vs. thinking machines. A complex plot; futuristic; wars, robots, the end of civilization…. See also Amazon and Wikipedia. Nominated by Johnie Scott: "a universe dominated by women -- the Bene Gesserit on the one hand and the Honored Matres on the other -- with a surprise third element which elevates this series to the level of allegory." Nominated by Johnie Scott: "one of the true classics of the sci-fi genre." 416 pages; 1884. Rpt. often; available free online. 186 pages; 1945 and 1948; rev. 1965. Nominated by Say-Peng Lim; contains "Mr Tompkins in Wonderland" and "Mr Tompkins Explores the Atom." Nominated by Corie Skolnick: "Orfan was born at CSUN in my own upper division writing intensive course, The Psychological Aspects of Parenthood, when I organized a panel of speakers on the subject of adoption. The panel stories provided both subject matter and inspiration for the finished manuscript." Nominated by Kate Gurewitz: "Non-fiction; a black woman's cancer cells were isolated and duplicated without her knowledge. She died without knowing that this line of cells would eventually be used (and profited from) by scientists all over the world. 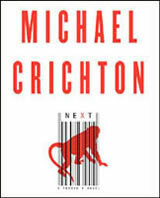 Presents all sorts of interesting ethical/moral questions." Nominated by Johnie Scott: "the required reading for PAS 155 Approaches to University Writing courses for 2011." Nominated by Irene Clark: "It raises interesting issues about biotechnology and could generate thought-provoking assignments. It's also lots of fun to read." Got opinions about books for next year? Blog with us. How did we select the winner? The Common Reading Selection Committee typically meets twice during each academic year: once in late October to choose finalists from the list of nominated titles; and a second time the following January to select the winning title for the next academic year. Members of the Selection Committee volunteer their service each year. CSUN students, staff, and faculty are all welcome to join. If you would like to join next year's committee, please contact Cheryl Spector at x3932 or via email at cheryl.spector@csun.edu before mid-October. Think you're not ready? You may be right--but CSUN freshmen have played a crucial role in our selection process every year since 2008.